On the top of the World...: Feather in a Cap!!! 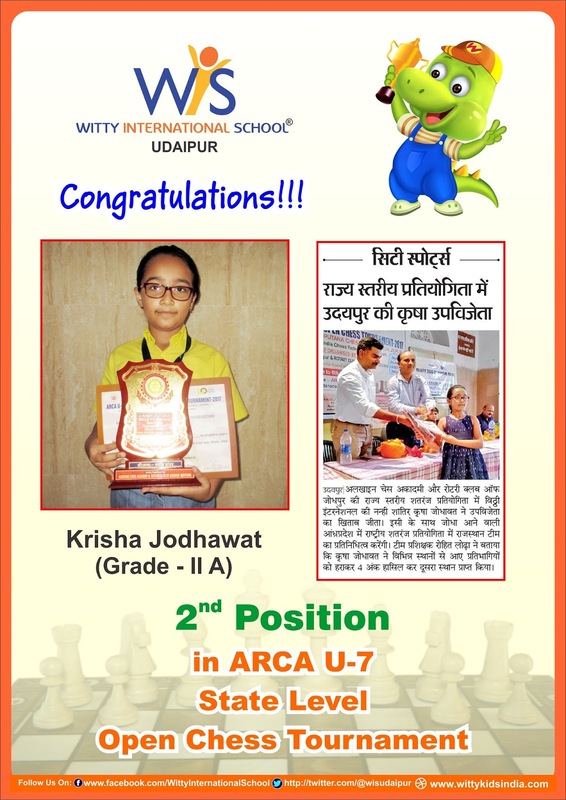 Outstanding Wittian,Baby Krisha Jodhawat of Grade-II A scored 4 points out of 5 rounds and secured 2nd position in ARCA U-7 State Level Open Chess Tournament-2017 which was held at Jodhpur from 5th August to 6th August -2017.Tournament was organized by all Rajputana Chess Association, Jaipur and jointly organized by Alekhine Chess Academy, Jodhpur and Rotary Club of Jodhpur Midtown. 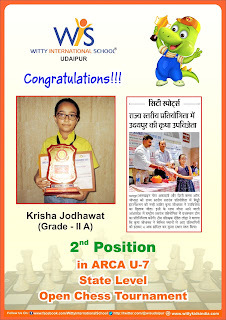 WIS appreciates her efforts and talent.